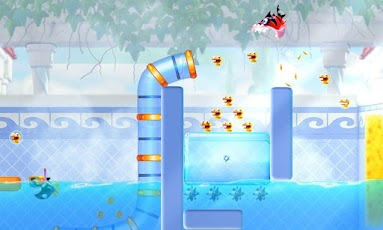 P2P released the latest FULL version (v1.0.5) of a new and addictive game, Shark Dash for ANDROiD. Another game by Gameloft, this time it’s their recently released Shark Dash. Played it on my HTC Desire and I must admit it’s more fun than I expected. So, here it is for you guys.. Enjoy! 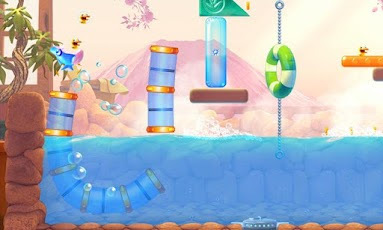 Description: Discover the new benchmark for physics puzzle games! 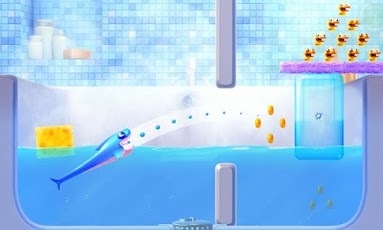 Shark Dash is a highly addictive game that takes the physics puzzler to fun new heights with a unique cartoonish style starring funny little bath toys!